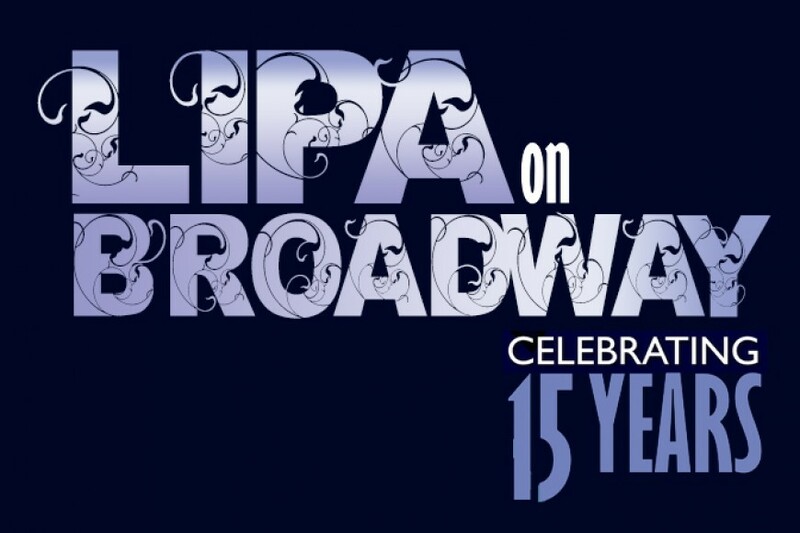 Lipa on Broadway: Celebrating 15 Years! 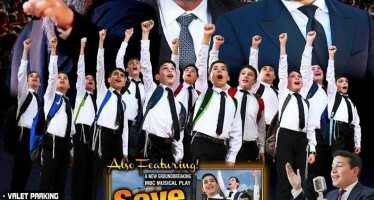 So, what’s been happening on the Jewish Music scene lately? Reports indicate that some people are feeling a bit down and depressed and in need of a lift. Maybe it’s the imminent winter blues that make it seem like our rhythm and vibe is totally out of whack. Well, if you’re feeling like the reverb has gone out of your stereo system and your pulse has slowed down to a ho-hum, humdrum beat, then you’ll be really reinvigorated to hear the latest Lipa news. If you’ve been feeling less energetic than usual, less spontaneous and effervescent, then fasten your seatbelts ’cause Lipa’s about to bring the spark plugs that’ll throw JM into overdrive! It’s time for some grab-the-audience-by-the-microphone and fox-trot-across-the-stage attitude! Since the release of “Leap of Faith” in May of 2012, some of you may have experienced symptoms of Lipa withdrawal. But fear not, because here’s your defibrillator: He’s back! This time around, Lipa’s not just bringing out a CD. Instead, he’s bringing out all the excitement and exhilaration that’s bottled up inside us, with an over-the-top, brace-yourselves-and-prepare-for-impact, never-before-attempted thrill ride of an album called “Dus Pintele – The Hidden Spark.” To be released in time for Chanukah iy’H, “Dus Pintele” features 13 tracks composed exclusively by Lipa. It’s a striking assortment of songs from stirring to soulful and altogether sensational! The CD is produced by Lipa and Naftali Schnitzler, and you have to hear it at high volume to appreciate its pitch-perfect professionalism. After the resounding success of such blockbuster favorites as “Mizrach” and “Hang Up the Phone,” Lipa’s return to the world of JM has taken the wow-factor up another couple of notches. If you think you’ve heard it all, think again. Lipa’s boundless energy and unbridled creativity have produced the unbelievable – the Hidden Spark that will reignite the awe and the wonder within every listener! But that’s not all, folks. Dim the lights and cue the orchestra, because something unprecedented is about to take place this winter, on a grand scale. Something unparalleled, and previously unimagined. Before the eyes of thousands, on the world’s most famous stage, in the heart of the greatest entertainment venue in the universe, Jewish music is proud to present “Lipa on Broadway: Celebrating 15 Years!” This dazzling concert will introduce a whole new spectrum of delights, and a whole new cavalcade of thrills. Electrifying in its presentation, the event will feature some never-seen-before musical highlights, along with a 15-man choir ensemble, a full-blown band imported all the way from Israel and conducted by the legendary Ruvi Banet, and a variety of show-stopping shockers to amaze and astonish the audience. 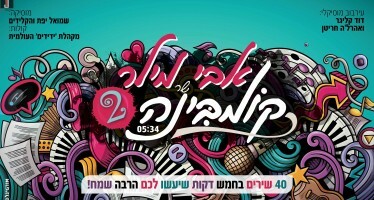 The event is produced by Lipa and his incredible troupe. Lipa’s teamed up with Associate Producer Moishe Rosenfeld of Golden Land Concerts and Connections, along with a slew of professional script writers, expert directors and many other noted talents who’ve thrown their incredible skills into the ring to create the extraordinary. Surgeon General’s Warning: With this show, you can expect your adrenaline level to reach seemingly impossible heights, your heart to beat in loud staccato bursts of pleasure, and your pulse rate to match the racing speed of sound.